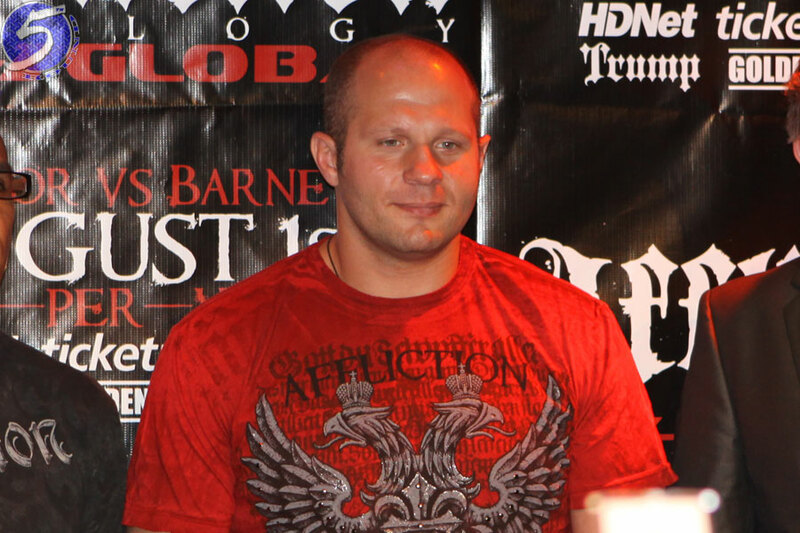 When Fedor Emelianenko (pictured) announced in July that he was returning to MMA following a three year retirement, fans thought that after years of spurning the UFC, Emelianenko would finally test his skills on the game’s biggest stage. I mean, why else would the 38-year-old return to a sport that passed him by years ago? Then, Emelianenko revealed in September he would reunite with former PRIDE FC president Nobuyuki Sakakibara and partner with Bellator MMA to perform on New Year’s Eve in Japan. That decision captured a lukewarm reception, at best. Months went by without confirmation of an opponent, one who would essentially serve as a sacrificial lamb to ensure Emelianenko’s comeback is triumphant in order to solidify future fights. In steps former K-1 kickboxing champion, Jaideep Singh. The move is so Fedor, isn’t? Sure, Singh could just be a warm-up for someone more spectacular down the line for Emelianenko, like a “Kimbo Slice.” But given Emelianenko’s track record, don’t hold your breath. It has been reported Emelianenko secured a $2 million paycheck for his return. Since his comeback is clearly nothing more than a quick cash grab, and not to challenge himself against MMA’s best heavyweights, or at least its biggest names, that’s not a bad payday. On top of Singh being a less-than box office opponent, Spike TV will broadcast Rizin Words Fighting Grand-Prix via “short tape delay” in America. The question is, who will be watching?